The term ‘claymation’, trademarked 1978 by Will Vinton, is a combination of the words ‘clay’ and ‘animation’. However, even before ‘claymation’ was even termed, clay animation has been around for as long as the early film era during the early 1900’s. Clay animation is a type of stop motion animation, a time consuming process in which the subject is moved, then shot, and the process is repeated, one frame at a time. Like animation in film, clay animation didn’t take just any one individual to create–in fact, it took several creators as well as inventions. 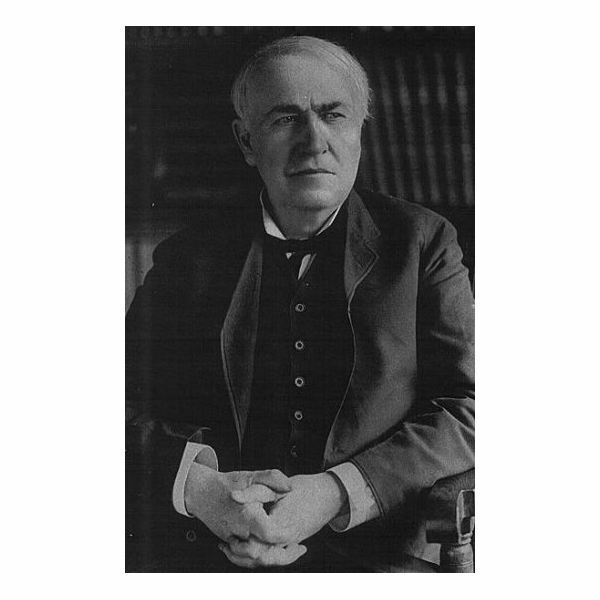 However, the first film which used clay animation, along with live action was “The Sculptor’s Welsh Rarebit Dream" (1908) by the Edison Manufacturing Co. (Later to be known as Thomas A. Edison, Inc.) [Thomas Edison – pictured]. This film was initially created as a trick film and directed by Edwin S. Porter (a film pioneer and director of several trick films with Thomas Edison). Trick films were films using the stop trick special effect, discovered accidentally by Georges Méliès. By turning off the camera, then allowing the subject(s) to move out of frame and then, turning the camera back on, creates the magical appearance of a subject(s) disappearing (or appearing) out of thin air. The same year, the Edison Manufacturing Co. produced “The Sculptor’s Nightmare" (this link is Part 2 of the uploaded file). The most valuable contribution to clay animation, other than the camera, is Plasticine. Plasticine clay was founded in 1897 by William Harbutt of England, and trademarked in 1899 by Flari Leisa Products. Harbutt taught a sculpting class and needed a type of clay that wouldn’t dry as fast. The solution was to create a compound of calcium salts, petroleum jelly and aliphatic acids. This combination of ingredients never dried out, endures under heat, and is still pliable. Today, Plasticine is the preferred choice in clay animation. After the first innovative trick films of the Edison Manufacturing Co., by 1916 other film studios began producing clay animation films. Prolific animators Helena Smith Dayton along with Willie Hopkins, began producing a wide variety of clay animations based on a wide range of topics. However, as fast as clay animation grew, it also died out until artists came to resurrect the art with fresh ideas. Art Clokey, in 1955, created the world famous “Gumby", the first clay animated character with his own show. Will Vinton, the claymation trademark owner, is an multiple award-winning claymation pioneer. Famous contributions to clay animation include the California Raisins characters. Vinton is also a CGI animator, one of his most recent creations are the famous M&M characters “Red" and “Yellow". Artist/ animator Joan Gratz and her Oscar-winning production “Mona Lisa Descending a Staircase" (1992), integrates her innovative clay painting technique of world famous paintings metamorphosing into each other.